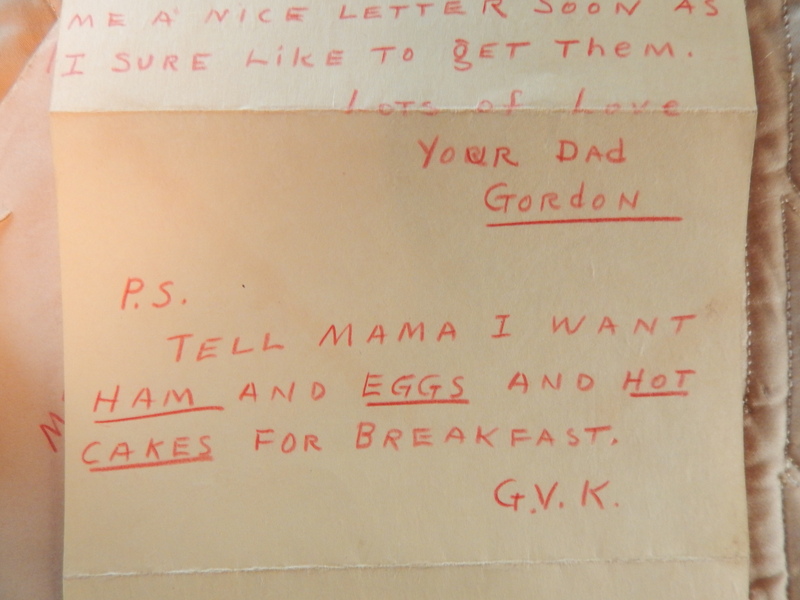 This letter was written in 1942 from a father to a son. It was never mailed but rather made to look like it did. 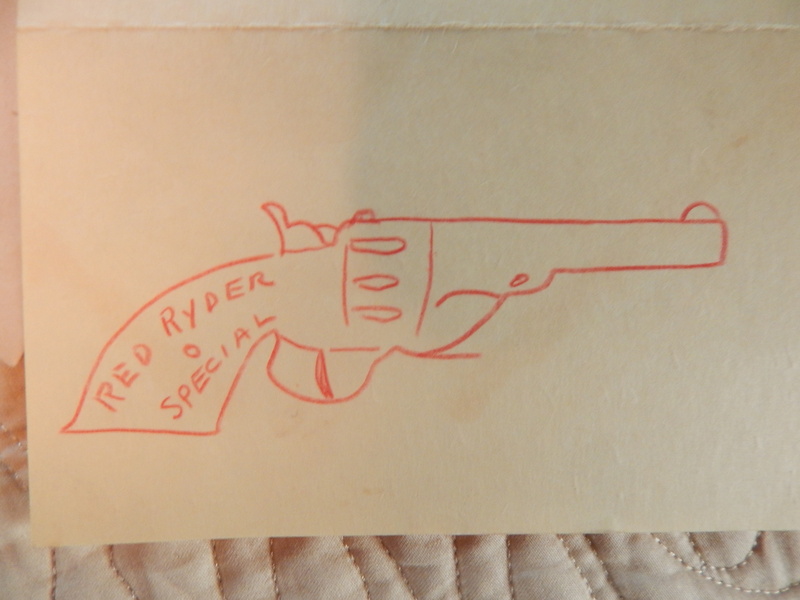 Now over 75 years later I found this memento in an estate sale among the ephemera of his life. Why did he keep this letter? I can only think of the joy it brought him as a 7-year-old well into his old age. Let us travel back in time and observe how special it was. First I have to share an opening page in Bob’s scrapbook. It is a small shrine to his Dad and his Shell Oil Station dedication in 1938 to people’s vacations. 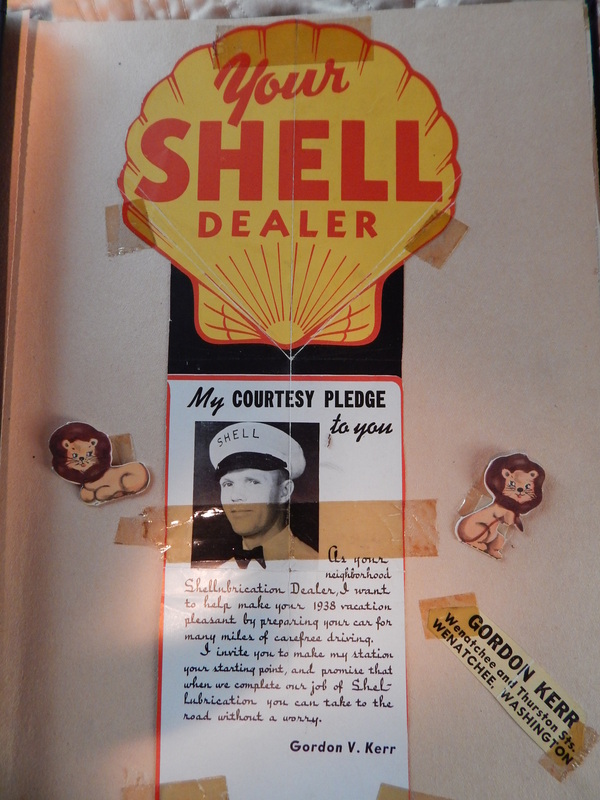 Check out the little lions taped around this Shell promotion with his Dad in it. What a great touch to the presentation. The rest of the old book was full of Seattle Rainier Baseball player news clippings and Bob’s drawings of World War II bombers. He was quite an artist and turned into an engineer for Boeing. 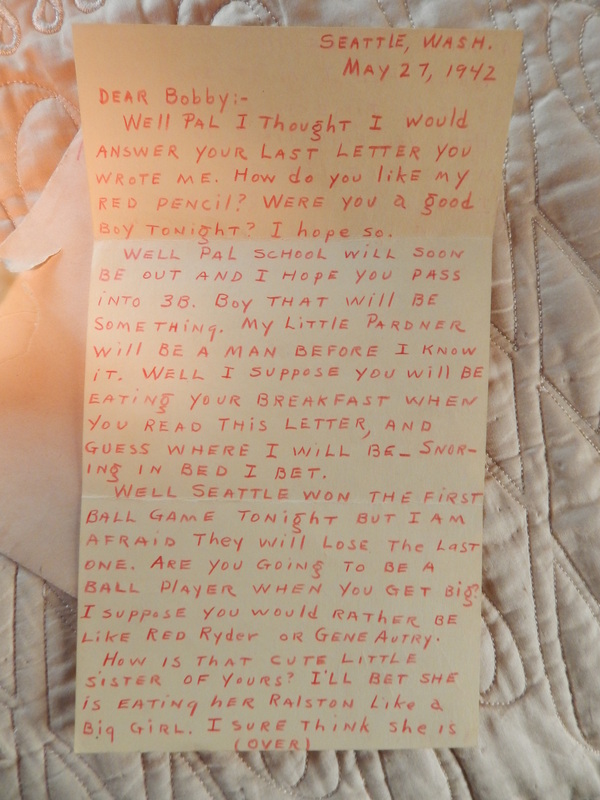 Here is the front of the letter written in red pencil. When I turned it over I was entranced even more. First let us look at the formal end part of the letter with a P.S. and signature. Then there is a formal postscript.. yes a P.S. – do we add these to emails still? Usually not unless you came from the age before computer. Got to appreciate the art of P.S. Are you ready for the surprise? It is a little piece of art from Dad. I see where Bob got his art talent. 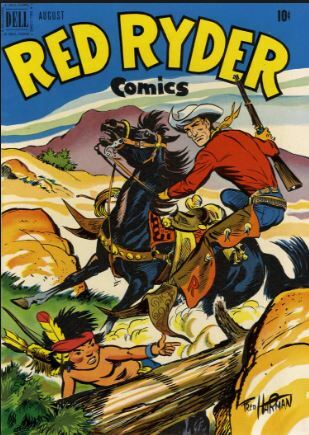 Plus here is a comic cover to give you the flavor of this childhood hero. I have to ask you? Will we look back 70 years from now (that is about 2087) and find text messages, emails or even blog posts this cherished? Not sure how that could happen. 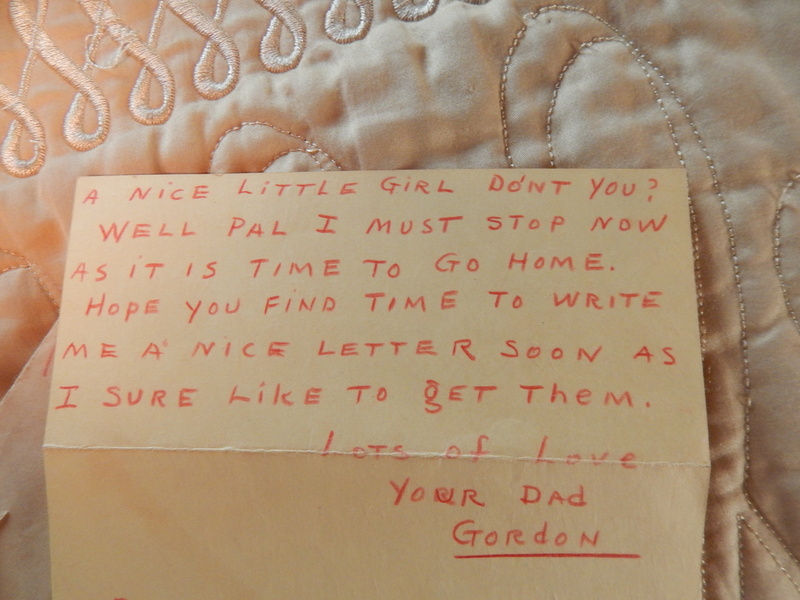 Ponder that fact and how we might want to rethink the lost art of letter writing. What joy would a rare letter of today be held in the future! Share this, write letters, hug each other, ponder the future and the past! Bring a change to someone’s day!